This was my first costume I made to be Cosplay. 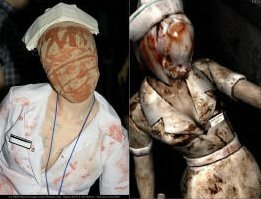 I made it for GenCon 2006 because I thought alot of people would know what Silent Hill was at a gaming Con. Sadly, I was a bit wrong, but people did enjoy the costume. 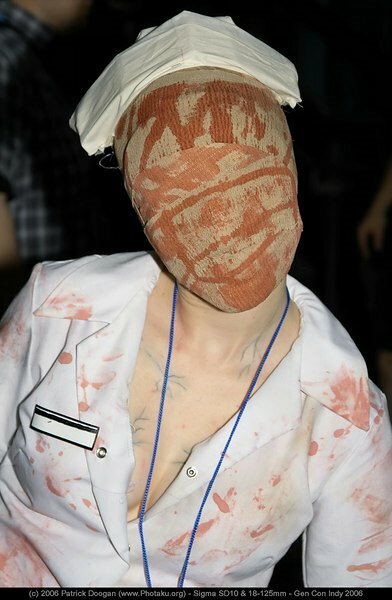 It was my first attempt at cosplay, so it has it flaws and one day I hope to make an appropriate mask to the game version of the Bubblehead Nurse. Still looking up info on Latex Mask Making and how I am gonna be able to breathe/see in a mask like a Nurse.